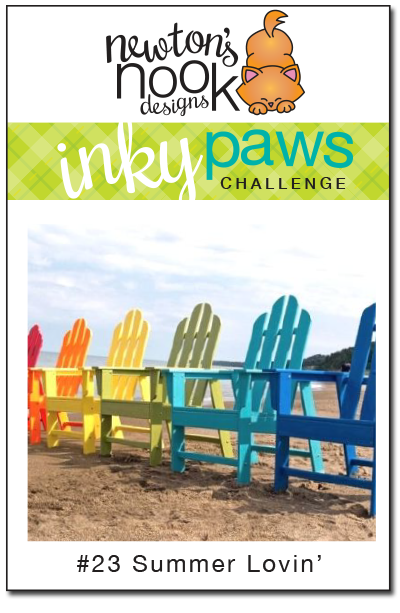 Inky Paws Challenge #23 Winners! Thanks so much to everyone who entered our last Inky Paws Challenge at here at the Newton's Nook Designs blog! This months Challenge was a Summer Theme Challenge! We had a some great SUMMER cards entered into this challenge! THANK YOU to everyone who entered! All the beautiful entries always make it SO HARD to choose the winners! 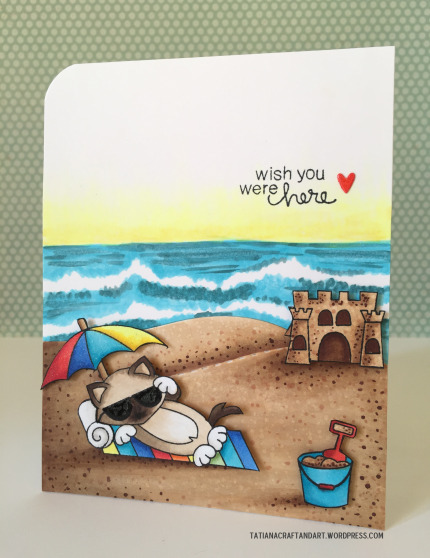 Our first winner is this beautiful fully colored beach card Tatiana! She colored in all that sand and waves with copic markers! Amazing! She used the images from our Newton's Summer Vacation stamp for the cat on the beach blanket, castle and sand bucket. 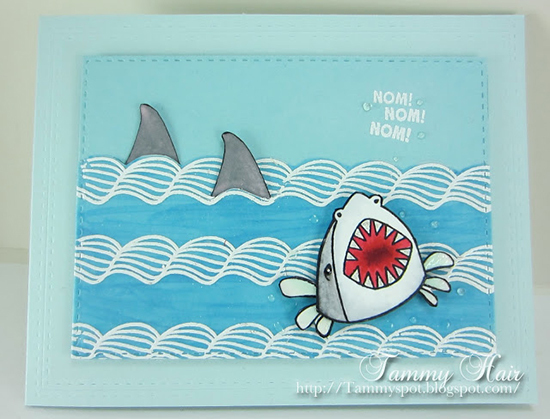 Our second winner is this fun shark card by Tammy! We loved how the shark in front is ready to share a "bite" with you and there are two more fins in the back too! She used our Shark Bites stamp set for the fun shark images. Congrats to Tatiana and Tammy! Don't forget to send us an e-mail at info@newtonsnookdesigns.com to claim your $10 store credit and get your winner badge for your blog! Heidi created this fun summer dream scene using our new Newton's Naptime stamp set and die. I love how she added a summer scene into his dream bubble! This fun trio of summer fruit by Corilyn was so fun! We love the watercolor and bright colors. 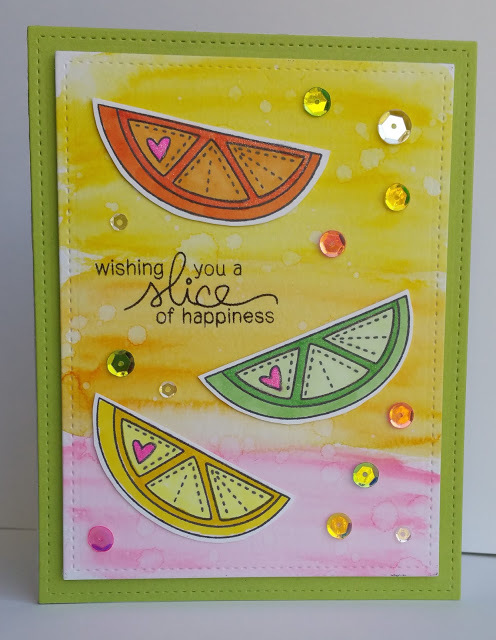 She used the Sweet Summer stamp set for those yummy fruit slices! We loved the fun background on this colorful summer card by Diane. Such a fun layout too! She used the Newton's Summer Vacation stamp set to create this fun summer card. Thanks again to everyone who entered - It's really so much fun to look through all the entries and see everyones ideas! If you didn't win this time we hope you'll play along again next time! Save the date: the next challenge will begin on August 21st.